We’ve all heard that the best negotiations are win-win agreements, in which each side benefits from the outcome. Unfortunately, however, some negotiations leave us feeling like losers in a lopsided deal. Wouldn’t it be nice if you could know the other negotiator’s true motives or the intentions behind their words? This is possible, but you’ll have to learn to hear by watching, not just listening to the other person. The subconscious part of your brain controls your body’s internal processes including your heartbeat, digestion and breathing. You don’t have to think about these functions because your subconscious is like an auto-pilot for your body. This internal regulator can’t lie, which is why subconscious gesture responses are more reliable communications than spoken words, which are consciously constructed. You can use the five indicators below to immediately improve your deal-making ability. They’ll enable you to go beyond the words to “read” the other person’s inner feelings. Confidence indication–Good negotiators know that getting the best deal is often simply a matter of knowing what is and what isn’t negotiable. One of the best techniques for uncovering the proverbial “line in the sand” is to verbally probe with suggestions for concession, while visually observing for resistance. A person’s subconscious indicates confident resistance by displaying a lip protrusion. When we were kids, if another kid took our truck or doll or if we were made to share when we didn’t want to, we would stick out that lower lip and even add an angry arm cross as confident resistance. We do the same thing as grown-ups, but we indicate our aversion to compromise with a more subtle lip protrusion and/or arm cross when we are presented with a proposition that would cause us to concede beyond our wishes. When you spot this confidence indication during your presentation, consider their resistance level high and their likelihood of making that particular concession low. Disbelief indication–One of the most valuable skills for a negotiator is to interpret when the other side distrusts the proposal or presenter. This is revealed by an eye rub. Eye rubs occur for many reasons, but during a negotiation they often indicate disbelief or a lack of confidence in the speaker. Good negotiators know that it’s meaningless to attempt to close a deal when the other side is not on board, so they watch for eye rubs. The best way to handle an eye rub is to stop when you see one and say something like, “Does that sound fair to you?” or “Would you like to comment on that?” If you just treat all eye rubs like a verbal question, most of the time, you’ll preserve the chance for an eventual agreement. Pause indication–Negotiators, like some salespeople, have a tendency to talk too much. One way to keep this in check is to look for the ear tug gesture. When someone wants to interject a comment or make a suggestion while the other person is talking they’ll touch, stroke or lightly tug on their ear to indicate their desire to speak. Many body language experts think that this behavior evolved from our childhood school days when we would raise our arm to notify the teacher that we wanted to be called on to speak. As grown-ups we’re more subtle but just as eager to share our opinion, so the best negotiators have learned that when they see an ear tug, they should shut up and listen. Desire indication–When we evaluate a proposition, we indicate our contemplation by stroking/rubbing our chin and temple. Once we have determined that we do, in fact, want to take the offer, we stop evaluating and often begin to salivate. Much like Pavlov’s dogs, we salivate when we desire something. Our natural response when a want evolves into a need is to put something into our mouth–a pen, finger, eye glasses or cigar, for example. In the most subtle of examples, a customer might even indicate a desire to accept your proposal by concluding a chin stroke with a licking of the lips or even a simple swallow. Emotion indication–Great negotiators have learned to watch for micro-expressions. These are very revealing subconscious splashes of emotion. They only last a fraction of a second and usually indicate a person’s true emotion about a word, phrase or other communication. If you’re observant, you can notice micro-expressions during a presentation. Let’s say, for example, that your presentation includes a flip chart with the heart of the proposal on page four. Don’t worry so much about the response to the first three pages, but before you flip to page four, make sure you’re watching the face of the decision-maker as you turn the page and announce the key benefit. You might say, “. and we can do all of this for only $560,000.” If they immediately look shocked and then return to a normal expression, your price may be too high. If they immediately let a smile “leak” only to be erased by their normal expression, you might be under-priced. 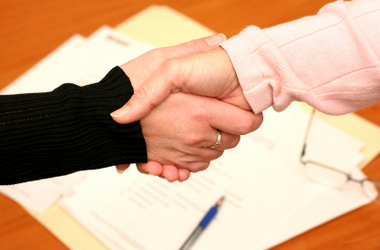 Negotiating skill is a key ingredient in running any business. 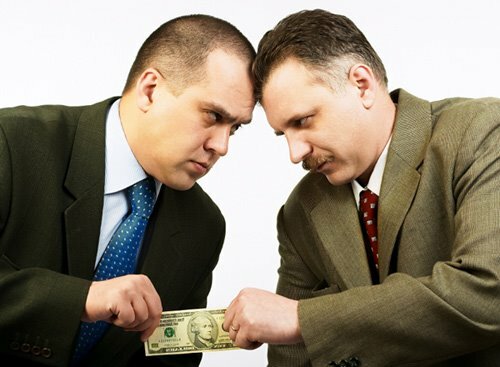 Your success will depend on your ability to interpret the other person’s true interest and objections and successfully persuade them to make the deal.